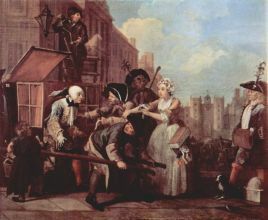 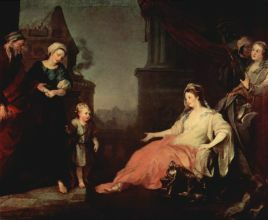 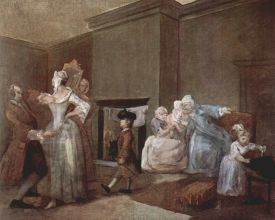 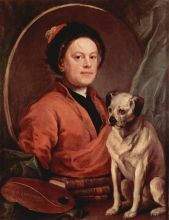 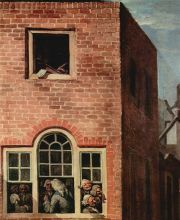 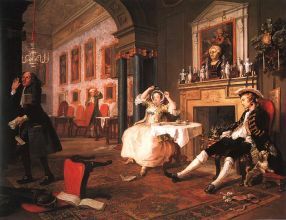 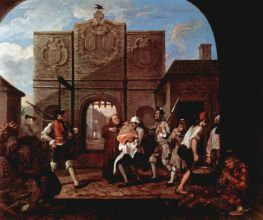 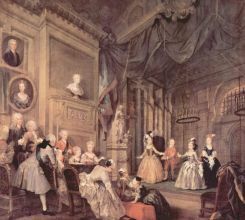 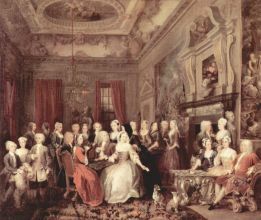 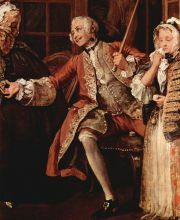 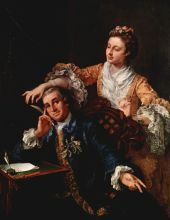 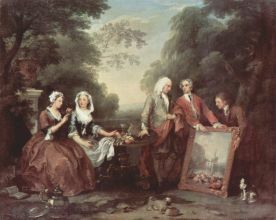 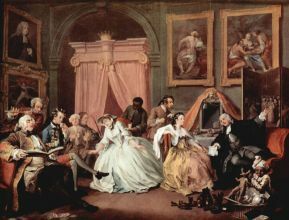 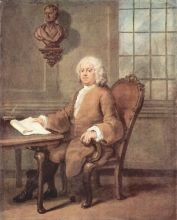 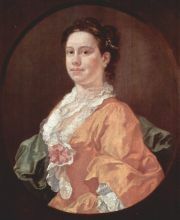 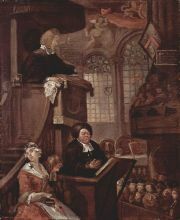 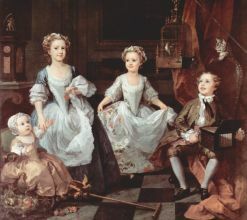 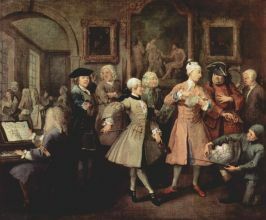 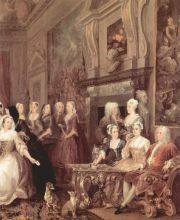 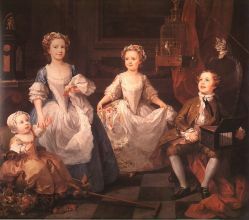 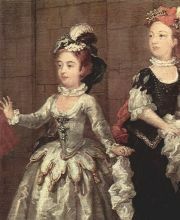 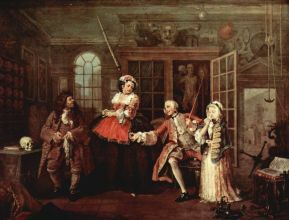 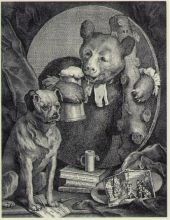 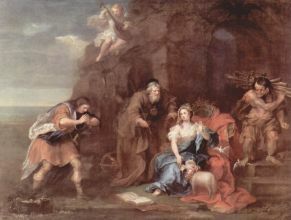 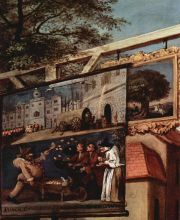 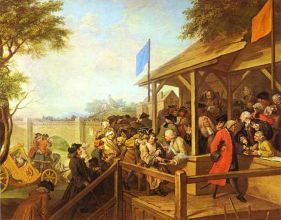 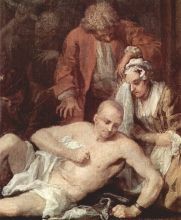 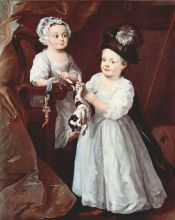 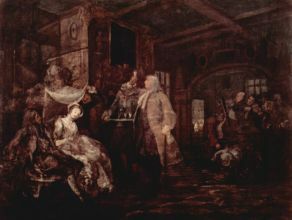 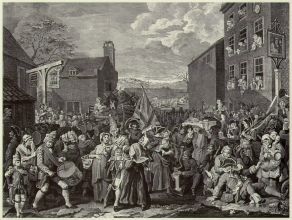 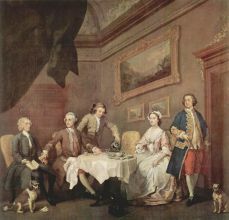 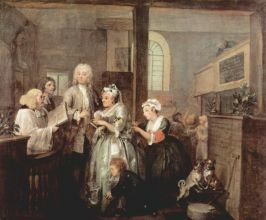 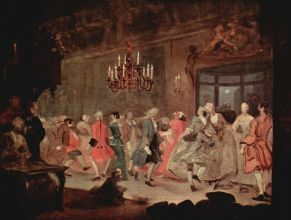 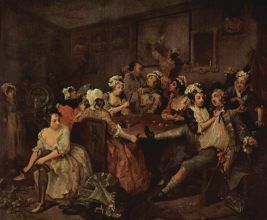 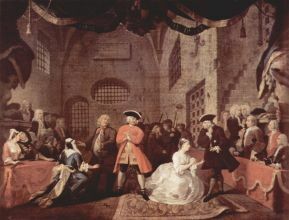 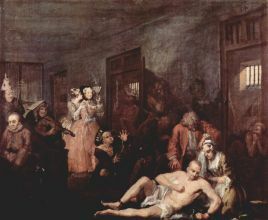 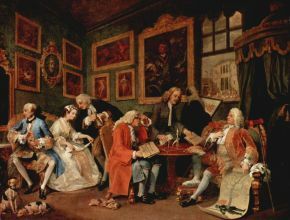 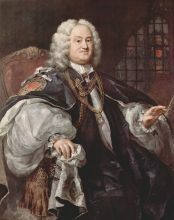 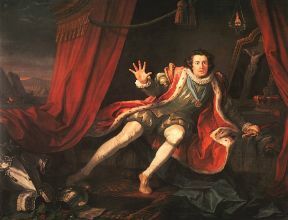 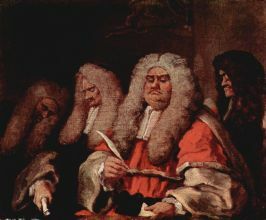 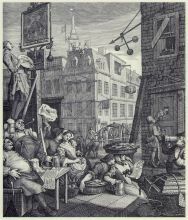 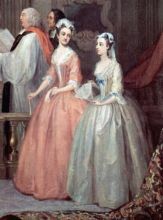 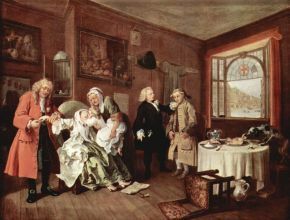 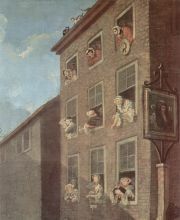 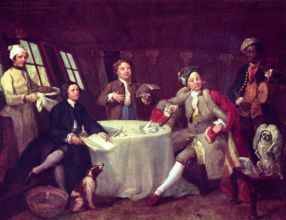 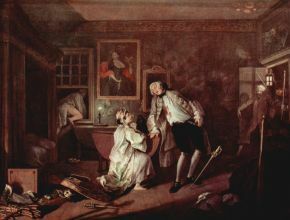 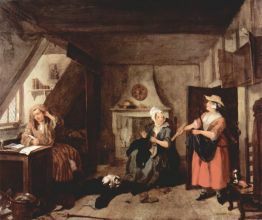 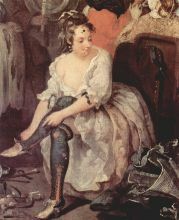 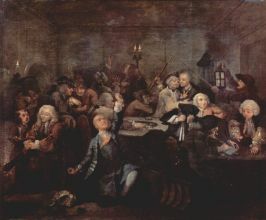 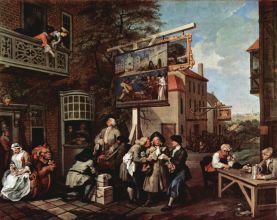 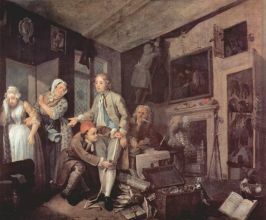 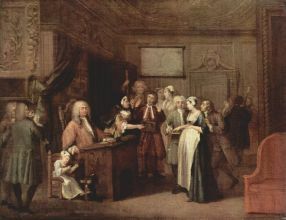 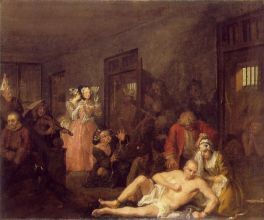 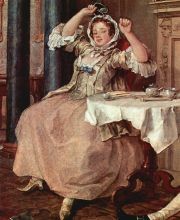 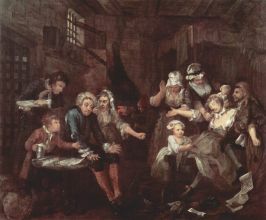 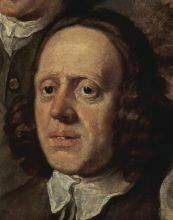 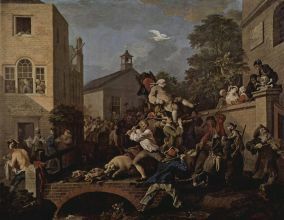 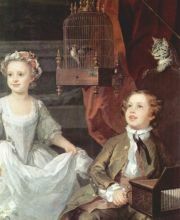 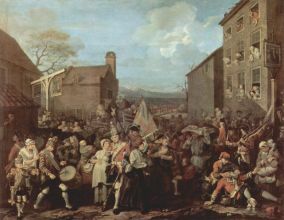 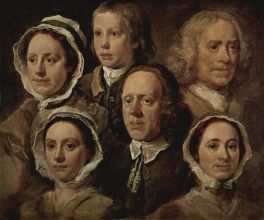 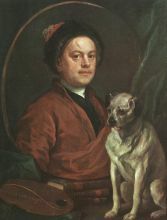 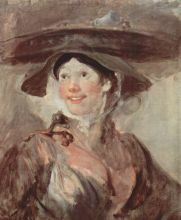 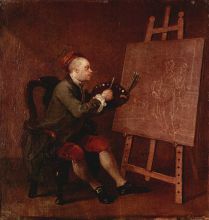 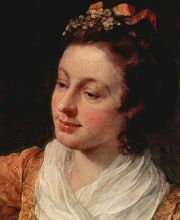 William Hogarth (November 10, 1697 – October 26, 1764) was a major English painter, printmaker, pictorial satirist, social critic and editorial cartoonist who has been credited as a pioneer in western sequential art. 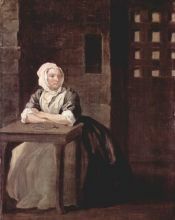 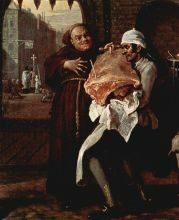 His work ranged from excellent realistic portraiture to comic strip-like series of pictures called “modern moral subjects”. 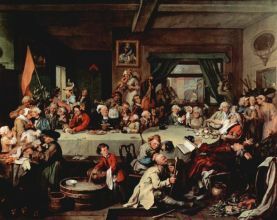 Much of his work, though at times vicious, poked fun at contemporary politics and customs. 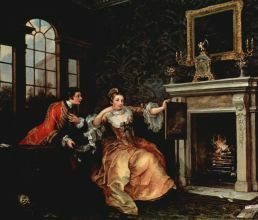 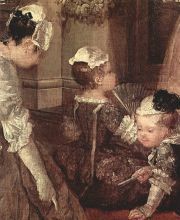 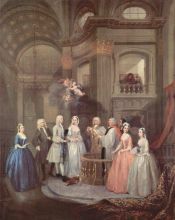 Illustrations in such style are often referred to as Hogarthian.